EMC has supported Councillors and Local authorities across the East Midlands with their programme of Policy events for the last 4 years, in this period over 910 Councillors have attended the well regarded events, which have covered areas such as Devolution, Planning, Housing, Infrastructure, Health, Migration and Service Delivery. In 2016-17 EMC are launching their new look programme, which will combine policy briefing events and specific skills workshops to provide a rounded programme of development to support Councillors. 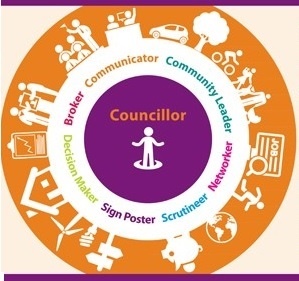 East Midlands Councils recognises that local authorities need to keep abreast of the changing environment and have developed the Regional Programme of Briefing events to support Councillors. The programme enables local authorities to access briefings on important national policy issues in the region minimising time and travel costs. The programme also provides Councillors from across the East Midlands with an opportunity to learn together and from each other. 23 September 2016 - Our Annual Policy Conference, on Planning, Health and Welfare Reform. Programmes and further information will be available prior to each session, the design of each session will be tailored specifically to Councillors requirements. Who should attend the briefing sessions? All councillors who wish to access a variety of experts and speakers to gain information, knowledge and practical advice on a range of emerging topics. Participants will be able to keep up to date and translate their learning back into their authority to help inform decision-making. The new combined approach will increase the variety of opportunities for support for Councillors. What is the Regional Programme? The Regional Programme of Briefing events, is a series of 6 low cost knowledge based events for councillors in the region. What are the Benefits of the programme? The cost of the programme is £510 for a local authority member of East Midlands Councils, which gives each local authority two places on each of the six events. Further places can be purchased at a discounted price of £40. 21 Local authorities subscribed to the programme in 2015/16.